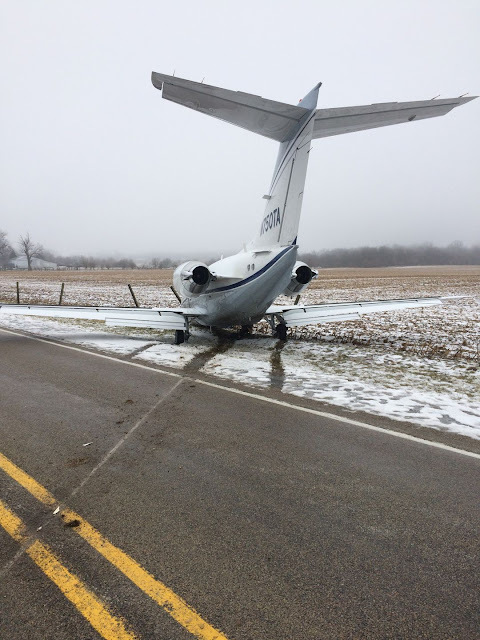 On February 11, 2019, about 1006 eastern standard time, a Beech 400A airplane, N750TA, collided with ground objects and terrain following a landing overrun on runway 24 at the Richmond Municipal Airport (RID), near Richmond, Indiana. 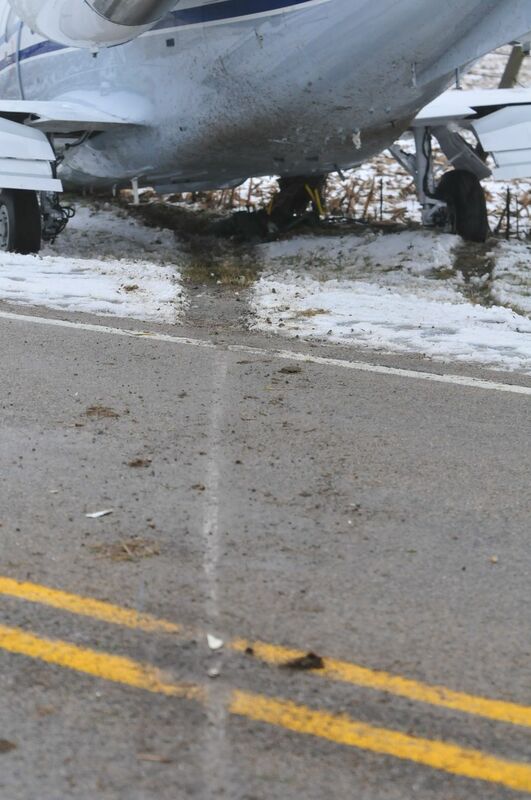 The airline transport rated pilot, copilot, and one passenger were uninjured. 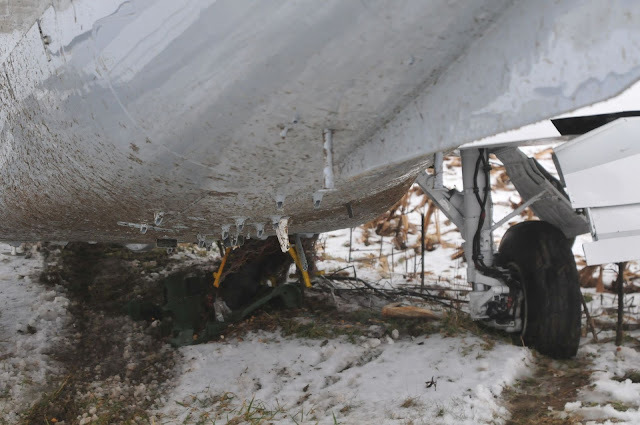 The airplane sustained substantial wing and fuselage damage. The airplane was registered to Premier Beechcraft LLC and was operated by Stein's Aircraft Services LLC under the provisions of Title 14 Code of Federal Regulations Part 91 as a business flight. Day instrument meteorological conditions prevailed in the area about the time of the accident and the flight was operated on an activated instrument flight rules flight plan. The flight originated from the Waukesha County Airport (UES), near Waukesha, Wisconsin, about 0917. 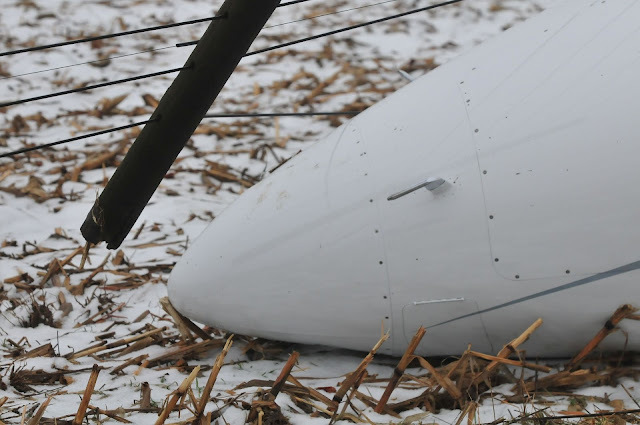 According to initial information from the pilot flying the airplane, he reported that he reviewed the flight plan the night before the flight. He talked with the first officer that night and explained to him that the weather looked as if they might have to cancel the flight. The pilot recalled the ceiling was 100 ft and visibility was .5 miles, with fog and mist. 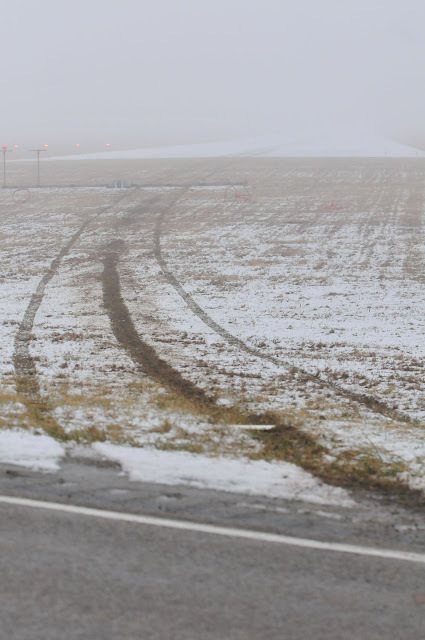 He reviewed the notices to airmen (NOTAM) to look for anything that would cause the flight cancel, and he did not recall anything on runway conditions. The pilot and first officer preflighted the airplane and checked the weather several times on the morning before the flight. 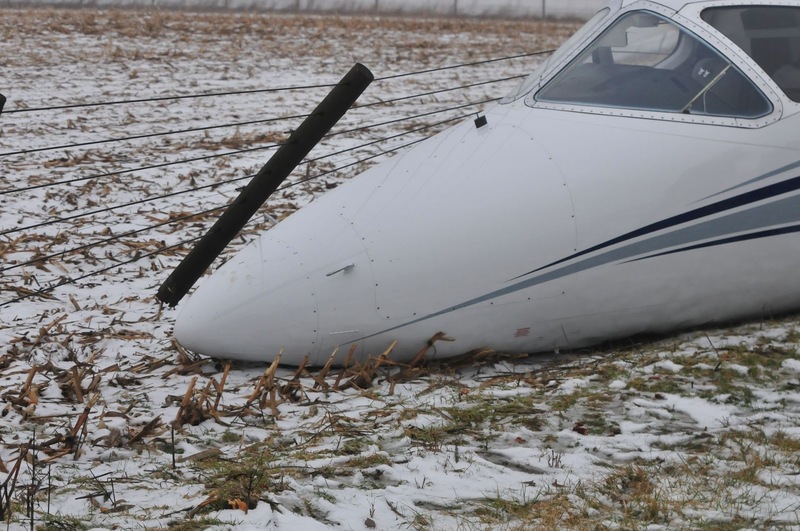 The pilot reported that the weather conditions were improving, and he did not recall seeing anything about runway conditions during another review of the NOTAMs. The pilot and first officer went over the weather at RID and discussed that they would be landing on Runway 24 using the GPS approach. They reviewed weather at least "4 or 5 times" on the installed avionics display and the pilot stated that the displayed information indicated conditions of 1.5 miles visibility, ceiling of 1,500 ft, wind 090° at 4 knots, with fog and mist. The crew discussed the approach and talked about having a 4 knot quartering tailwind. When the airplane was near RID, the first officer listened to the automated weather observing system recording and it was reporting 3/4 mile visibility and 1,500 ft ceiling, scattered 300, wind 090° at 4 knots, temp 0°C, dew point 0° C, altimeter 30.13 inches of mercury. The pilot indicated, "All this information said we had the numbers to make the approach to runway 24, (5,500 feet long)." 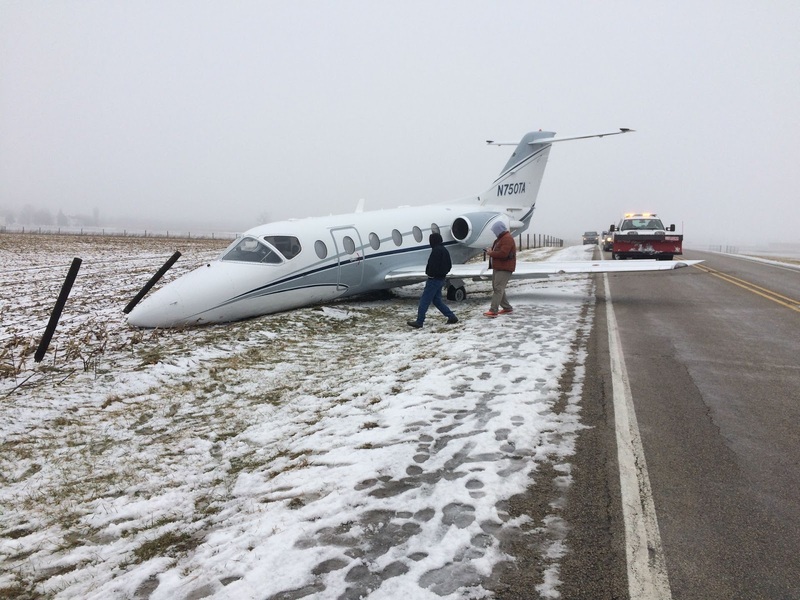 The pilot used the autopilot fly the approach to just before minimums. 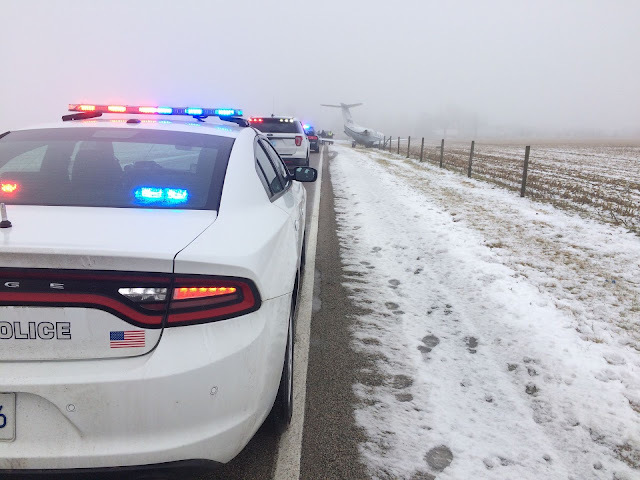 The airplane was about "300 ft" and the first officer called the runway to the left. The pilot looked up and saw the precision approach path indicator lights to the left and the runway straight ahead. 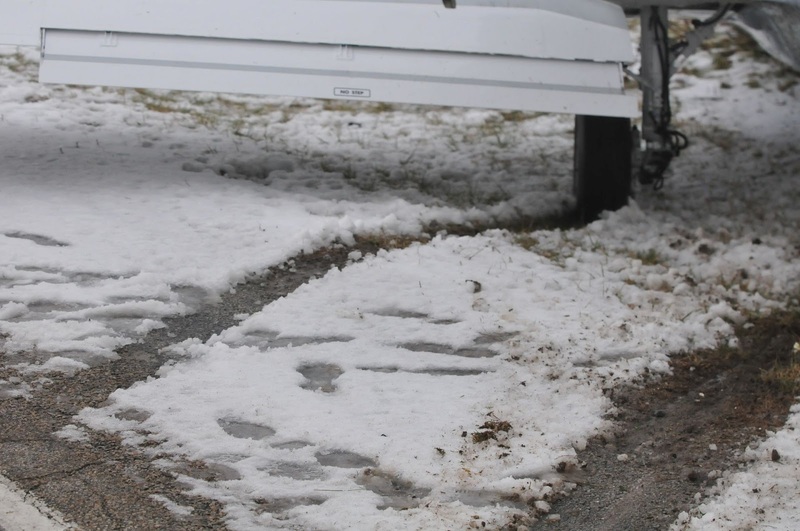 However, the runway appeared to have a "very light coating of snow on it." The pilot elected to land and apply full thrust reverse and breaking. The pilot also queried the first officer about the spoilers and the first officer confirmed the spoilers were out. A few seconds later the pilot felt the airplane was not slowing much and advised the first officer that the airplane was going to go off the end. At that point, the first officer said that he saw the 2,000 ft marker ahead of the airplane. 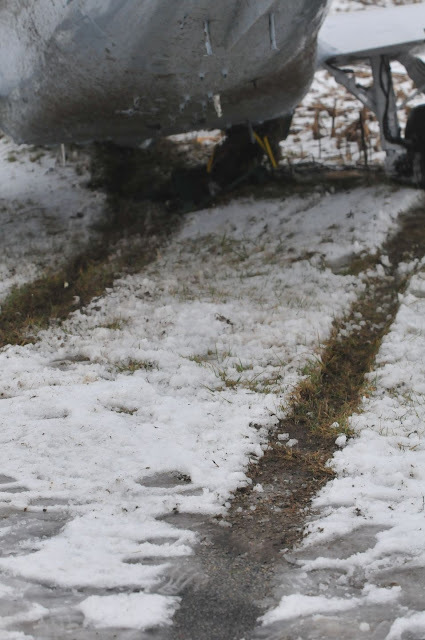 Both pilots were pushing the brakes as hard as they could and full reverse was applied. The airplane went off the end of the runway and ended up across a road near the runway. Subsequent to the accident, the pilot used his I-Pad to review the NOTAMs again and at that time he saw on the first line that the airport was closed and on the second line, the field condition indicated runway condition codes of 3-3-3. The 62-year-old pilot, seated in the left seat, held a Federal Aviation Administration (FAA) airline transport pilot (ATP) certificate with an airplane multiengine land rating, a BE-400 type rating, and he held commercial pilot privileges in single-engine land airplanes. He held an FAA first-class medical certificate with a limitation that stated, in part, he "must have available glasses for near vision." He reported that he accumulated 11,915 hours total flight time and 8,024 hours of which were as pilot in command. He reported 718 hours of total flight time in BE 400 airplanes. The 53-year-old first officer, seated in the right seat, held an ATP certificate with an airplane multiengine land rating and a BE-400 type rating. He held an FAA second-class medical certificate with no limitations. The first officer reported 4,082 hours total flight time and 3,980 hours of which were as pilot in command. He reported 181 hours total flight time in BE-400 airplanes. N750TA was a 1999 model Beech 400A, twin-engine, low-wing, transport-category airplane, with serial number RK-226. It was equipped with two Pratt & Whitney Canada JT15D-5 turbofan engines and thrust reversers. At 0955, the recorded weather at RID was: Wind 080° at 4 knots; visibility 1/2 statute mile; present weather fog; sky condition scattered clouds at 300 ft, overcast clouds at 1,500 ft; temperature 0° C; dew point 0° C; altimeter 30.12 inches of mercury. At 1015, the recorded weather at RID was: Wind 080° at 4 knots; visibility 1 statute mile; present weather mist; sky condition scattered clouds at 300 ft, overcast clouds at 1,500 ft; temperature 0° C; dew point 0° C; altimeter 30.13 inches of mercury. 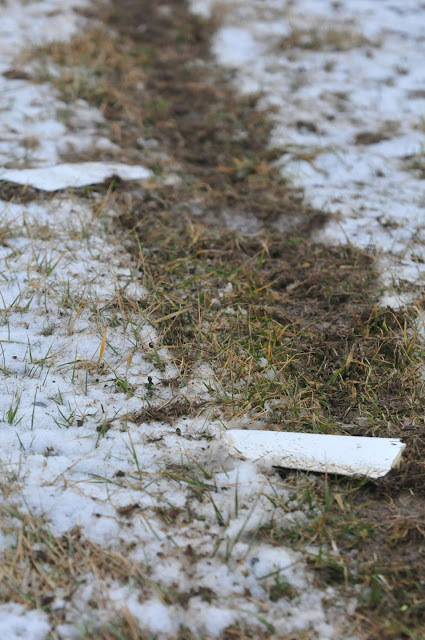 The pilot's report indicated that instrument landing system for runway 24 was out of service. 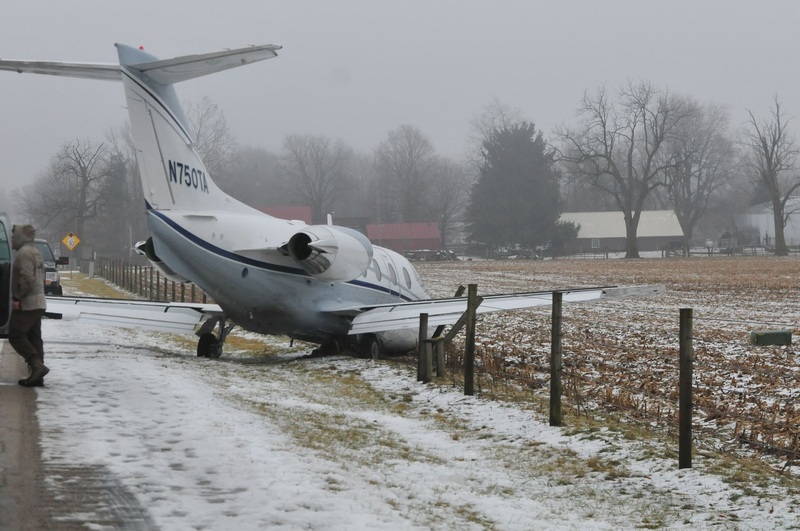 However, the airport was serviced by an area navigation (RNAV) GPS approach to Runway 24. RID, located about 5 miles southeast of Richmond, Indiana, was a non-tower controlled, public-use airport, which was owned by Richmond BOAC. The airport was attended Monday - Friday 0800-1745, Saturday 0800-1745, and Sundays 0800-1745, and it listed 122.7 megahertz as its common traffic advisory frequency. The airport had two runways designated 6/24 and 15/33. Runway 15/33, an asphalt runway, was 4,999 ft long and 100 ft wide. Runway 24, a grooved asphalt runway, was 5,502 ft long and 150 ft wide with a gradient of about 0.1%. 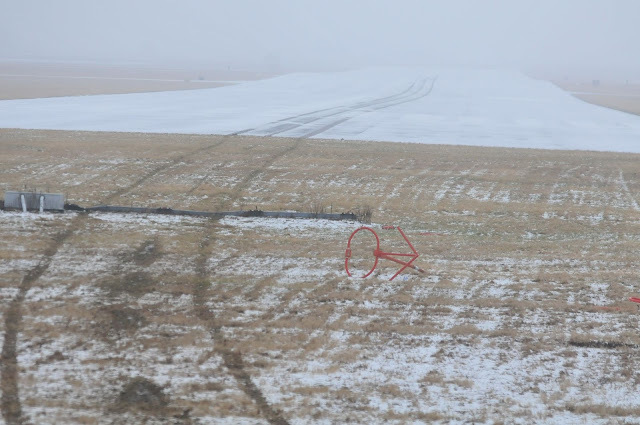 A four-light precision approach path indicator was located on the left side of runway 24, which provided a 3-degree glidepath. 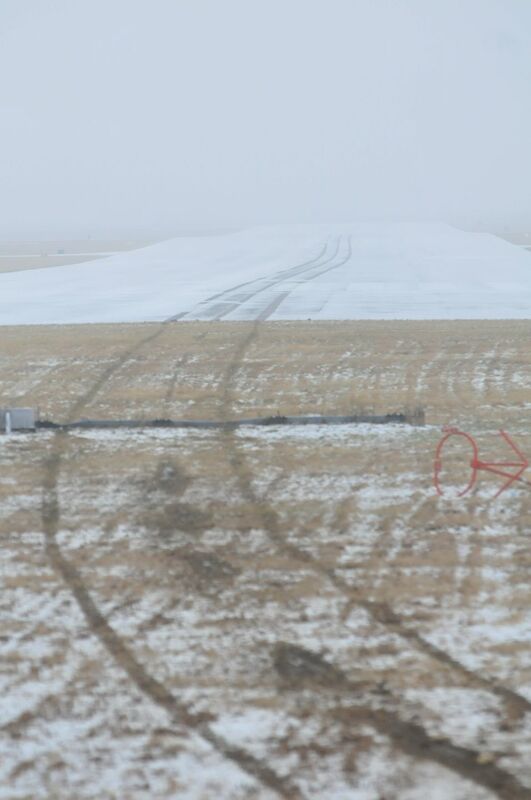 The runway's approach lights were equipped with a runway lead-in lighting system and the runway had runway end identifier lights. Listed obstructions for runway 24 included 7 ft crops about 230 ft from the runway that required a 4:1 slope to clear. 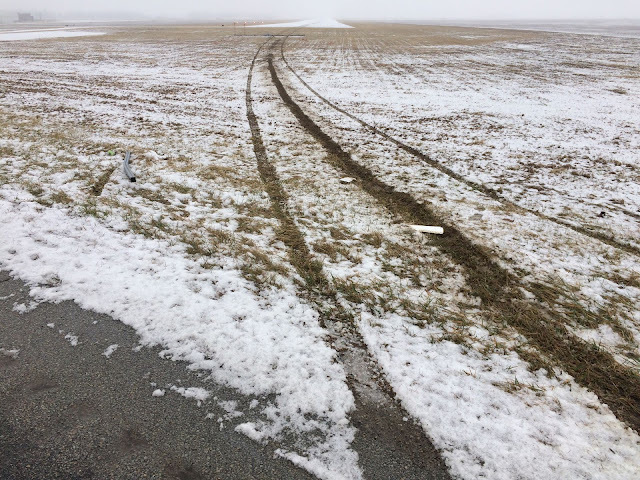 RICHMOND, Indiana — A chartered plane landing at Richmond Municipal Airport skidded off a snow-covered runway through an airport field and across Ind. 227. According to flight plans on Flightaware.com, the chartered plane left Waukesha County Airport in Waukesha, Wisconsin, for the trip to Richmond, landing at 10:03 a.m. 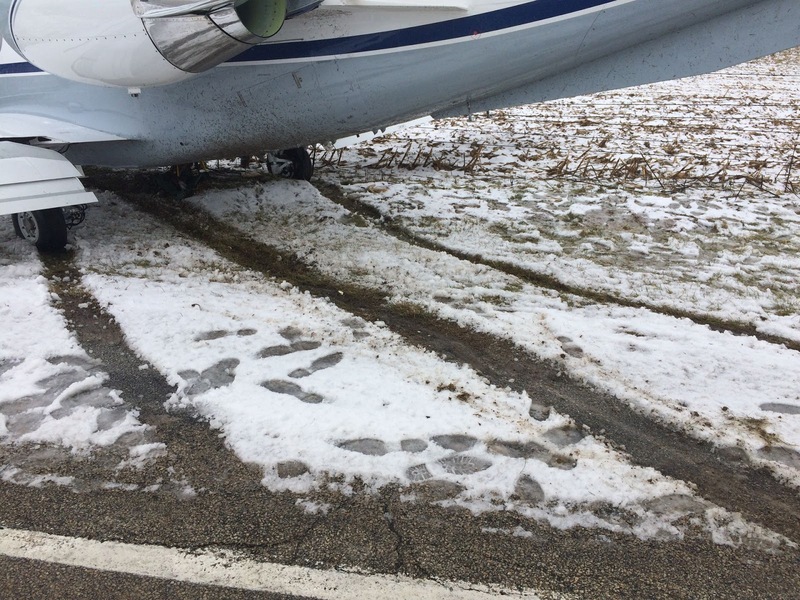 The plane was scheduled to fly from Richmond to South Bend and return to Waukesha from South Bend later Monday. According to online information from the FAA, the plane is a Hawker Beechcraft 400A manufactured in 1999 by the Raytheon Aircraft Company. 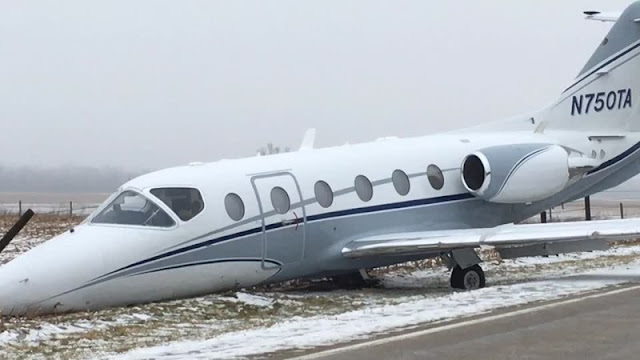 It is registered to Premier Beechcraft LLC in Brookfield, Wisconsin, which is west of Milwaukee. Mayse said the plane was finally cleared from 227 about 3:15 p.m., and at that time, work continued to taxi the plane back to an airport hangar. That's a heck of an excursion. 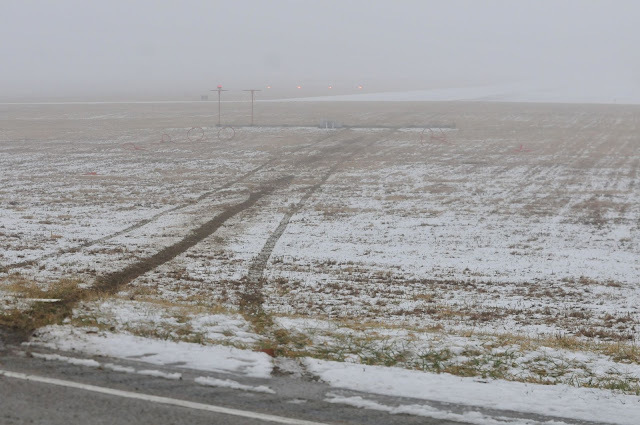 Bad judgement considering the runway condition, should have aborted the second he saw a white runway surface. 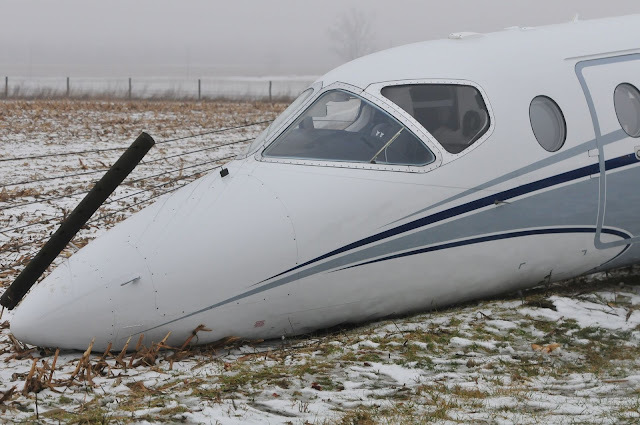 *Increase landing distance 115% for wet or slippery runway. That's going to be an expensive mishap. Glad no one got hurt. 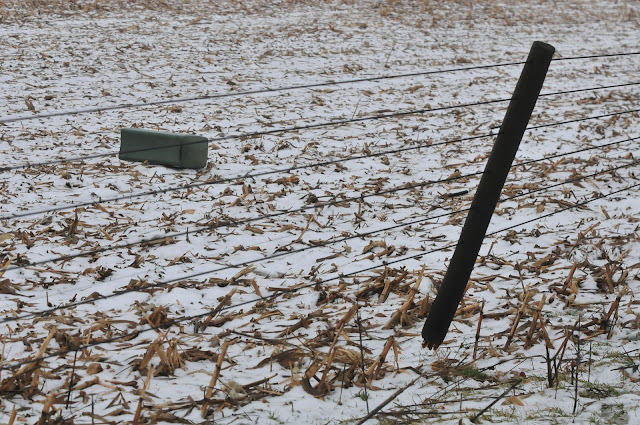 Tough when you have to fly in conditions like that. Great pictures leave the guess work out of this incident ! 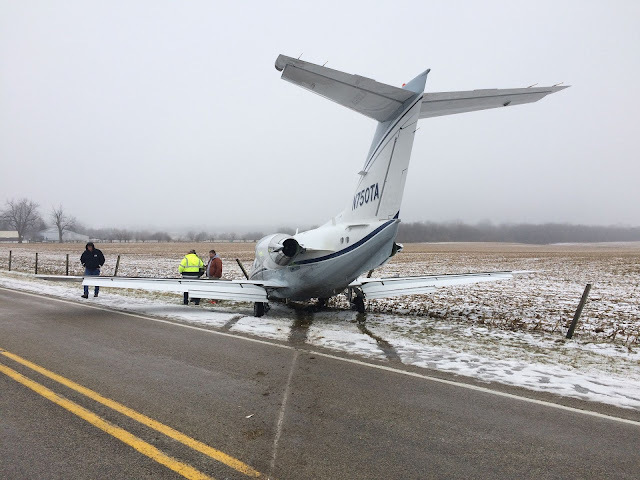 Slippery runway and obviously not enough of it . 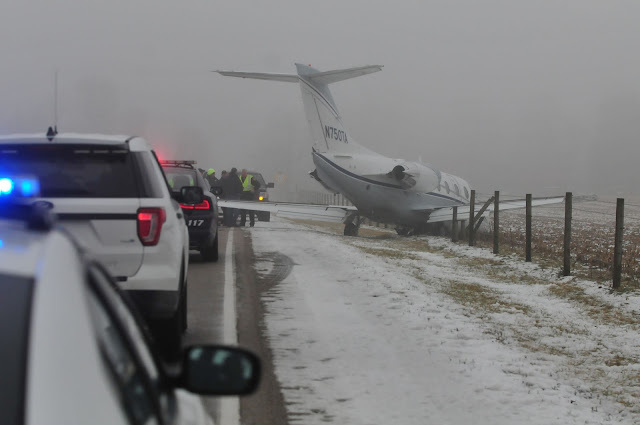 I have no idea what the performance numbers were for this plane landing on this runway in these conditions or the length of the runway and it's slope for that matter. Based on that there is no way to determine if this amounted to "bad Judgement" of not. Jets land on runways in this condition all the time without problems. 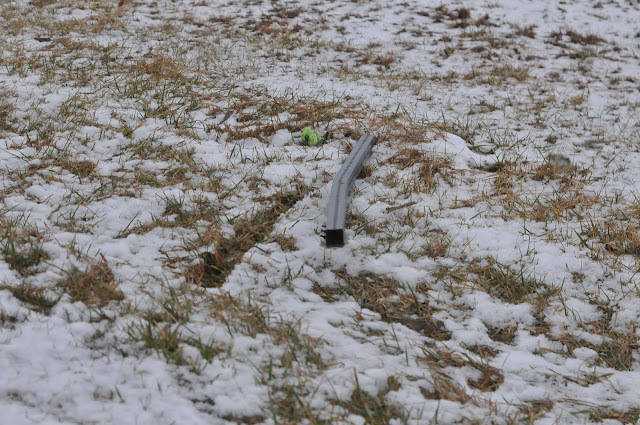 Additionally we have no way of knowing if there was a mechanical problem as well. Different limitations are applicable to different pilots based on their experience. What may appear as suicidal to one pilot may be no big deal to a more experienced crew. 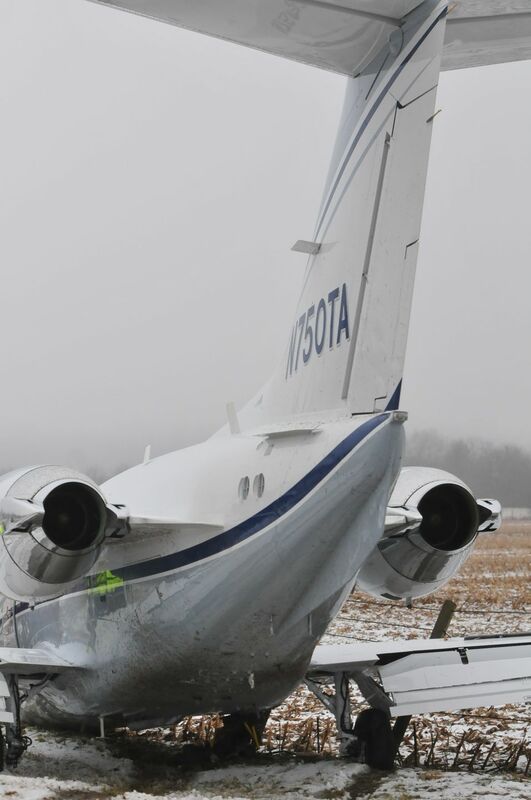 FWIW, this is probably not a wet/slippery runway scenario (115%) from a performance point of view. It's more likely a contaminated runway performance problem. The level of contamination determines the performance penalty. If this were a performance calculation I were required to perform I would expect to see a solution that would would support a runway long enough to provide a minimum landing distance 2.7 - 3.0 times the normal clean and dry landing distance. And, I'd better make sure I was on speed over the threshold with a touchdown in the TD zone, with otherwise near perfect technique throughout the rollout. It will all come out in the investigation. Bummer for sure. Glad no one hurt. "That previous comment was a mouthful... Remember the old saying...How do you know when there is a pilot in the room??.. Within 30 seconds of entering they will tell you! :-) "
No different than your comment except that his displayed some intelligence.